Makes for a great activity for those snowy and cold days. Thank you for posting these instructions. 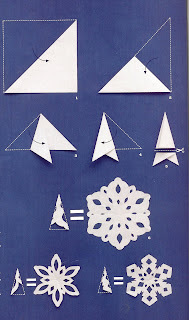 About 2 weeks ago I was trying to make some paper snowflakes and they just weren't working out!! I tried these and they look beautiful! I love looking at what you girls find to post to this site.